By physically using your fingers to tap certain energy points on your body, you can alleviate emotional distress, ease pain and possibly even lose weight. 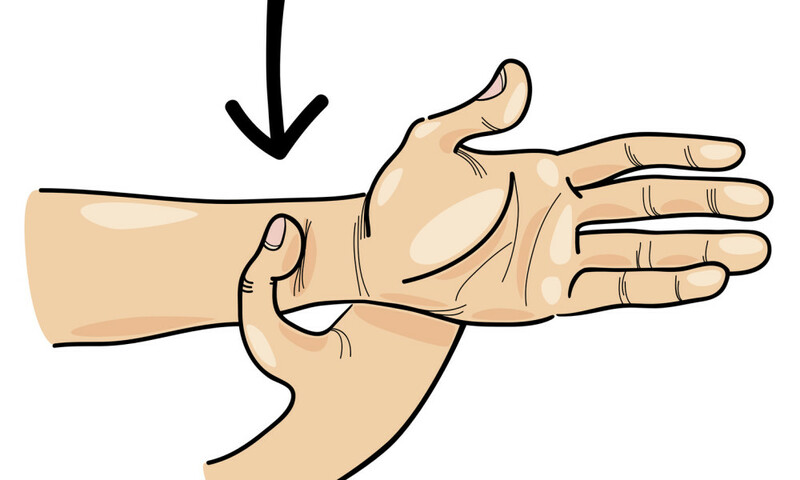 Tapping is an easy, self-help technique that you can do almost anywhere when you are having a moment of anxiety or minor pain to feel better fast. The science behind tapping is twofold. The first is that you are basically performing acupressure on yourself. The second is that you are using a self-help psychology technique to express your problems. Acupressure is an alternative medicine technique for healing by using the fingers to press on key points in the body, which stimulates the body to heal itself. Acupressure originated around 5000 years ago in Asia and has been adopted by many Western clinicians who want to offer their patients non-traditional medical options. The pressure and rhythm applied to the body in acupressure can vary from vigorous shiatsu massage to slow kneading of larger muscles. Tapping is usually used for the face and head since these are sensitive areas with many nerve endings. By tapping your body rhythmically, you are also activating a calming response in your body to reduce stress. By touching the surface of the skin you activate energy centers under the skin. Energy gets blocked due to trauma that we have experienced. These can be from both physical and emotional traumas. Tapping activates the flow of energy to eliminate the blockage and restore balance to your body. According to traditional Chinese medicine, There are twelve energy meridians in the body. Tapping along these meridians releases energy which travels throughout your body. The energy flow is necessary for blood circulation and all important bodily functions. An important part of EFT therapy is expressing the feelings that are creating the blockage of energy. In addition to tapping, you are verbally stating what is bugging you. Getting it off your chest by saying it aloud can create an immediate release of tension. After saying what is causing you to be stressed, angry or depressed, you say something genuinely kind to yourself. You accept yourself in spite of the bad feelings that you are experiencing. Then as you tap, you continue to express the various inner conflicts that are making you upset. While you state aloud your problem and self-love statement, use the fingers of one hand to repeatedly tap the outer fleshy edge of your opposite hand below your pinky finger. You can use as many fingers to tap as feels comfortable to you and either hand. Repeat your statement aloud three times while tapping. Tap the spot on the inner edge of your eyebrow where the hair begins to grow. Either side of your head is fine to tap. Do what feels comfortable. As you do this, speak honestly about how you feel. Following our party planning example you might say “I’m stressed because there is so much to do for this party.” Spend about 10 seconds tapping each of the next several points on your body. Tap your fingers under your eye on the bone and again speak honestly about your feelings. For example, “I am exhausted.” Keep tapping for 10 seconds. 10. TAKE A DEEP BREATH IN AND EXHALE IT OUT. Jessica Ortner, author of The Tapping Solution for Weight Loss and Body Confidence, demonstrates the basics of tapping your upper body in this video. Her book focuses on the emotional side of weight gain and how this simple technique of tapping can release us from overeating due to stress. Although tapping your body to release whatever is blocking your energy is a quick solution that you can start using today, you can also seek the help of a professional to help you with tapping as therapy. The Emotional Freedom Technique (EFT) uses tapping as a form of psychological therapy. EFT is growing in popularity and you can seek out a certified practitioner in EFT in your area here.